সিন্ড্রেলা had no other abode except for her father's house. With an evil step-mother constantly looming over her with a watchful, menacing gaze - she was pretty much forced to do all their chores like a maidservant and to endure all of their harshness in silence. Reporting this to the police/authorities wouldn't have been a good idea, mainly because her step-mother was shown to be some rich and manipulative woman. She could have easily bribed the officers with junk/fooled them with false evidence/dissolved the case দ্বারা saying that 'the girl is still young and naive' and then made সিন্ড্রেলা regret ever being born. If she had left the mansion herself, then where would she have gone? Where would she have stayed and worked? Plus, the authorities would've found her in no time. I'm thinking that they couldn't get legally rid of her even if they wanted to. Maybe she was the sole heiress of her father's wealth? Maybe the step-family had chances of getting in trouble with the authorities if they abandoned Cinderella... অথবা maybe not, because.... eh. If she hadn't served them obediently (if she retaliated), the evil ladies would've kicked her out of her only নিরাপদ haven (I just contradicted my own point! xD). The poor maiden would've been alone out in the crime-infested streets of her town. Some would claim that 'it would be better than being treated like crap দ্বারা the step-family', but I disagree. সিন্ড্রেলা was a young woman who was unskilled in terms of combat and atrocious crimes could've easily been done to her. Things so heinous and utterly unspeakable. Much আরো worse than anything the step-family could've done to her. Also, সিন্ড্রেলা was depicted as possessing a very gentle, tender-hearted and feminine personality. 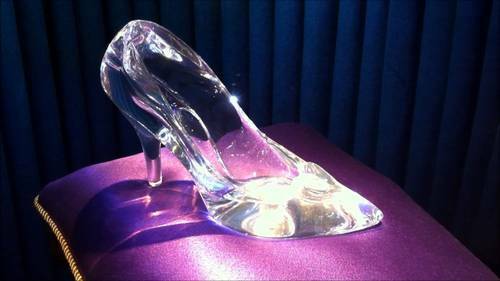 She wore glass slippers, after all! Her behaviour, actions, etc. weren't doormat-ish. She was simply trying to be patient, polite, kind, considerate and respectful to them even if they didn't treat her nicely in return. Like a good daughter who stays loyal to her parents' teachings. I'm pretty sure others will disagree with me, but these are my views!